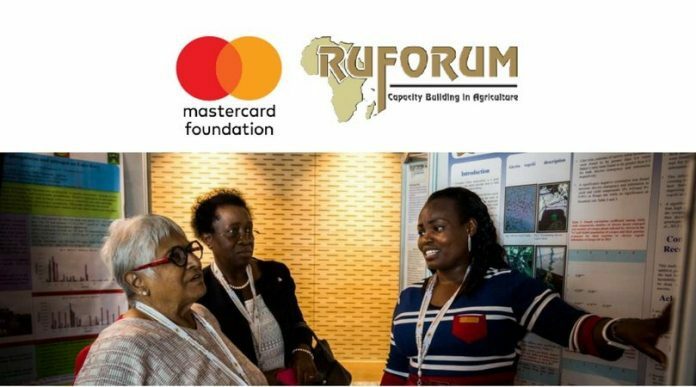 Home Scholarships RUFORUM MasterCard Foundation Undergraduate & Masters Scholarship Award 2019/2020 for young Africans. RUFORUM MasterCard Foundation Undergraduate & Masters Scholarship Award 2019/2020 for young Africans. Application Deadline: Sunday 31st March 2019 at 17:00 Hours (GMT+3). For the academic year 2019, 50 Undergraduate and 20 Masters Scholarships will be made available, of which 70% will be for Kenya and Uganda nationals. Sixty percent (60%) and fifty percent (50%) of the scholarships will be awarded to undergraduate and masters’ female applicants, respectively. These scholarships are only tenable at Gulu University in Uganda and Egerton University in Kenya. Eligible Programs of study The following academic programs are eligible for application during the Academic Year 2019. Applicants should obtain application forms for both the scholarships and admission from the university of choice. Applicants shall only apply to one university of choice. Application forms can also be downloaded by clicking following websites: RUFORUM; Gulu University and Egerton University . Applicants are encouraged to carefully study the application guidelines and provide all the required information and documents prior to submitting the application. Females are particularly encouraged to apply. The deadline to apply for the [email protected] Scholarships is Sunday 31st March 2019 at 17:00 Hours (GMT+3). Download the MCF Application Form 2019 and the Advert MCF Scholarship for more details.